Everybody is all for it when everything is smooth sailing. When the finances are just right, the bank account tight, the children are healthy, no one’s arguing and fighting, just contentment. When life falls into place for us we can’t help but be on a natural high because there is no stress, no failure, no pain, no suffering, no tears, everything and everybody is all walking on one accord. As much as we would love for it to stay this way life can happen at any moment. And what I mean by life, it means the roller coaster ride of the ups and downs of life, the tragedies, the attack on our marriages, the family, the silent drug problem, alcohol addiction, gambling, lying, cheating, deceit, your children are acting out, etc. It all can happen at any-time, it all can fall apart at any moment if we let it. Problems that we are dealing with internally, within ourselves can become even bigger if we don’t stop it in its tracks. Change is inevitable we have to learn to embrace it head-on. It’s important to stay prayerful and watchful while going through the good and the bad times. You never know when you will need one of those prayers to pull on. 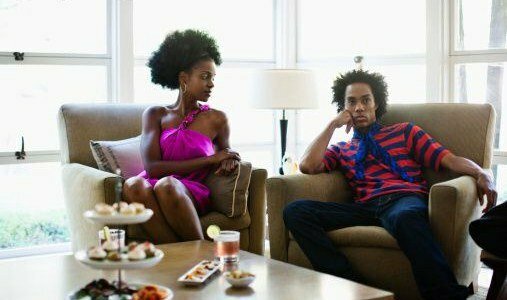 The bad times within a marriage can take a toll on the entire household. The children can feel the effects and the stress of the arguments, and more than likely they will begin to act out. The first step is to try your best not to argue in front of the children, whatever it is should be discussed privately. Which is the hardest thing to do sometimes when you have to get things off your chest, but trust; there will be less confusion within the household. Children should not hear every disagreement between you two. Only bring a situation to them after you and your significant other have come to a conclusion concerning them. By doing this it will not make them feel as though they need to choose a side. Stability is the key to winning in this area if it is an area of concern. Children need stability and consistency. It is a balancing act especially when children are involved. It is important to keep an open dialog to stay on track. When you think about marriage you think of all the pretty things, all the excitement, and happiness but that’s not all marriage is. Can you stand the test of time, when things are turned upside down? Are you only invested in your relationship when everything is good, and not present when it all goes down? This is something to really dig deep and think about for a second. Did your vows mean anything to you at all or did you just say them because it is what’s normal? In this instance, you should have realized, that it is very imperative to mean what you say and to say what you mean. Get your vows out and think about what each and every statement mean to you. Try to figure out if you are in this for the long run, or just for the “good time” that don’t last always. Think about if you have your significant other back if they fail to be who you thought they were, or if they are struggling with something eternally. Are you the person that they can trust, the person that will never leave their side. For better or for worse, do you really mean it, it is definitely something to think about. 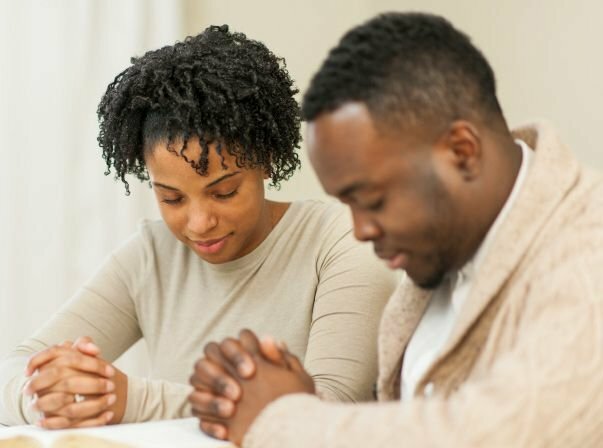 As always prayer and communication is the key to stand the test of time within any type of relationship. May God Bless Your Union. Reblogged this on Taynia's Word of Advice. I think most people don’t know how to deal with problems that occur in life when they are single, and then they carry those same poor behaviors on within a relationship. I agree with you. Most people do not learn how to deal with their problems head on so it becomes a problem within their relationship. It’s important to take inventory on yourself and deal with the issue at hand. That way you will be open to deal with issues within your relationships.